I am using a low-end smartphone running on Android 2.3 Gingerbread operating system. The problem I am facing is that I wanted to send a birthday message as a picture message to one of my friend. But I am unable to send it. I get an error message stated as ‘message sending failed’. How this issue can be fixed? Picture messages can be sent Easily. Some times if you are trying to send a more complex picture message it will be considered as an MMS that is Multi media messaging. In order to send the Multi media messaging you have to first activate the feature. You need to contact the Mobile provider and activate the same, after that try to send messages. surely it will work. Hello friend, The problem is that you cannot send picture messages directly from your android.You have to install some apps which can send photos.Your android can send photos only of resolution 120*120.But if you install apps like "photo sender",etc.from play store then you can send any types of photo.But receiver must have a programmer file to show the received photo. 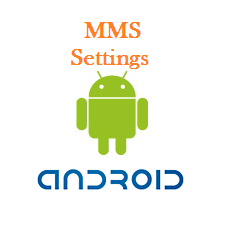 MMS is the feature which which works with the active internet connection and that is provided by service provider of your network like vodafone , airtel , etc.. These settings will be in the form of sms and hence will be sent to you in the form of text message ..
Is it possible to send voice messages from my android smart phone?